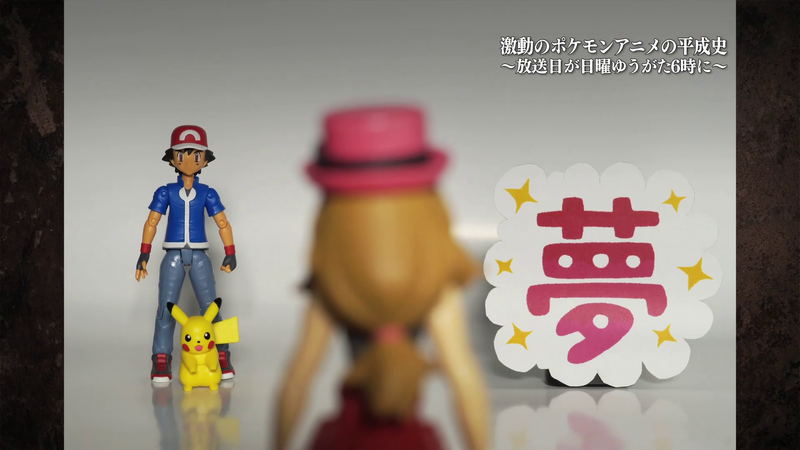 Ash is the main character of the Pokémon anime. Raised in Pallet Town, he started his journey to become a Pokémon Master at the age of 10. On the day that he started his journey, Ash carelessly woke up late despite being told by his mother, Delia Ketchum to get to bed. He rushed to Professor Samual Oak's laboratory only to find out that the beginner Pokémon - Bulbasaur, Squirtle, and Charmander - had already been given out to trainers who arrived on time. However, Professor Samual Oak mentioned that there was one more Pokémon available - Pikachu. Despite constantly hitting Ash with Electric-type attacks and refusing to return to its PokéBall, Ash decided to take Pikachu along with him on his journey to become a Pokémon Master. 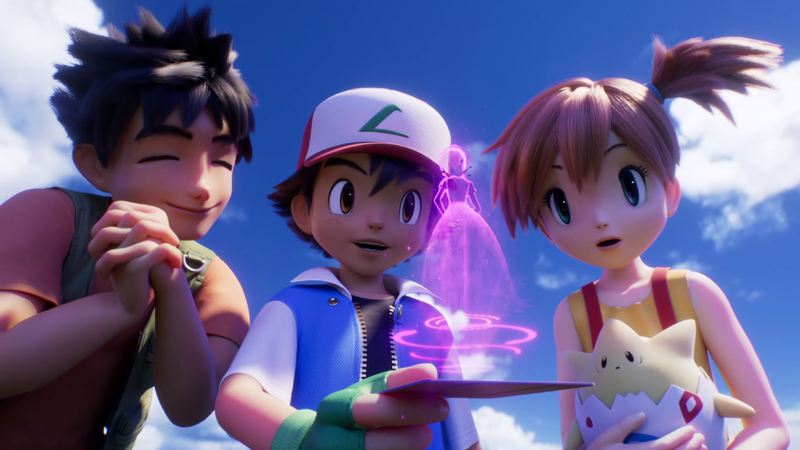 Pikachu is cold towards Ash at first and laughs at his failures; however, when Ash saves Pikachu from a flock of wild Spearow, he begins to warm up to his new trainer and the two finally become friends. After the battle with the flock of Spearow, a Ho-Oh is seen flying towards a rainbow in the sky. The PokéDex reveals that the Ho-Oh is an unidentified Pokémon. Thus, the journey of Ash and Pikachu begins. While making his way towards Pewter City and his first Kanto League Gym Battle, Ash came upon a wild Caterpie deep within Viridian Forest. Instead of using Pikachu to battle against the wild Pokémon, Ash took his chances and threw a PokéBall without weakining the Caterpie first. Luckily, he was able to catch the Pokémon without any trouble. The capture of Ash's Caterpie marked Ash's first capture as a Pokémon Trainer, making Ash's Caterpie the second Pokémon to join his team. The next day, while continuing the trek through the Viridian Forest, Ash came up on a wild Pidgeotto. He tried to just throw a PokéBall like he did with Ash's Caterpie, but Pidgeotto swatted the PokéBall away. Misty informed that he must weaken the Pokémon first before attempting to capture it. He called out Ash's Caterpie to battle against, but Misty quickly informed him that Bug-type Pokémon are weak against Flying-type Pokémon like Pidgeotto. After Pidgeotto dealt significant damage to Ash's Caterpie, Ash recalled it and sent out Pikachu. Pikachu was able to use its Thundershock to weaken Pidgeotto and allow Ash to capture it with a PokéBall. Thus, this capture marked Ash's second capture as a Pokémon Trainer, making Ash's Pidgeotto the third Pokémon to join his team. Later on, while still in the Viridian Forest, Ash was approached by Team Rocket, who attempted to steal his Pokémon. After defeating Meowth, James's Koffing, and Jessie's Ekans, Ash's Caterpie evolved into Ash's Metapod. Ash participated in the Pokémon World Tournament Junior Cup at the Kagome Town stadium. In the first round he was in the fifth match and faced off against Marris. The match was quickly showcased and Ash won the battle and advanced to the second round while Marris was eliminated from the tournament. Ash participated in the Isshu League in the preliminary match where he was matched up against Trip. Trip's Serperior was sent out to battle Pikachu and Cilan noted that Trip's Serperior's speed and its attack power had leveled up quite a bit too since the last time they saw it. The match was pretty one sided for a long time as Pikachu wasn't able to counter Trip's Serperior speed and ended up getting wrapped up. After using Iron Tail on the ground to get loose, Pikachu used a combination attack of Iron Tail and Electro Ball to one hit KO Trip's Serperior. As a result, Trip was eliminated from the Isshu League and Ash advanced to the next round. 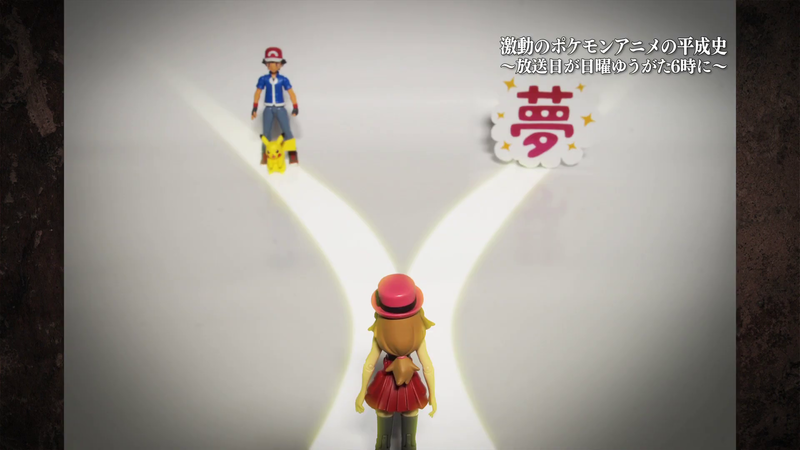 The two met in the Pokémon Center after the battle, and Trip vowed that the next time they met that he would win. The two shook hands and parted ways. In the first main round, Ash's opponent was shown on the match up electronic board but not much else is known about the battle. Ash's Scraggy participated in the second main round of the Isshu League tournament where it faced off against a Darumakka. It was able to defeat it so that moved on to the next round. In the third round, Stephan was matched up against Ash. Cilan noted that the two of them have a very direct taste and that it would be a good battle. It was only a 3 on 3 battle but the both of them gave it their all. The first two battles of the third round setup the final match up of Stephan's Sawk vs Ash's Krookodile, both of which were very injured from the previous battles. Both of them did their best to muster up their reserve strength but in the end a surprise move of Aerial Ace by Ash's Krookodile was super effective against Stephan's Sawk and it knocked it out to give Ash the victory while eliminating Stephan from the tournament. Stephan realized after the battle that the reason that Ash withdrew Waruvial after the first battle was because Ash knew that Stephan would definitely send out Dageki, so he didn't reveal that it knew Aerial Ace and saved until the end. Ash Unova league adventure ended at the hands of and his Lucario. It was a close match and regardless of the fact that he only had 5 pokemon on hand. Pikachu fell in the end and ended Ash's run in the Quarterfinals. In his debut match in at the Battle Chateau, Ash was matched up against Tesla. Pikachu had a super effective type advantage over Tesla's Fletchling and also had a lot more battle experience so it wasn't long until Pikachu was able to defeat it. Ash was awarded the title of Baron for winning the match. 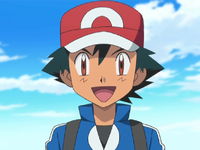 Throughout Ash's journey he has gained some impressive accolades as a trainer. Placed in the Top 16 in the Kanto Indigo Plateau league, He was the first person to conquer the Orange Islands, He Placed a respectable Top 8 in both the Johto Silver Conference and the Hoenn Ever Grande Conference, Became the first person to conquer the Battle Frontier. He later declined the invitation to become a Frontier Brain, Placed top 4 in the Lily of the Valley Conference his best finish, He also placed in the top 8 in the Unova league tournament as well. He is currently in the Kalos region hoping to conquer that regions league. Ash's Froakie contacted Professor Sycamore laboratory to let them know he wanted to give up Froakie.The staff at the lab had been worried about Froakie. Ash's Fletchling was spotted in the Route 4 forest when it stole the Pokémon food that Bonnie was trying to feed to Clemont's Dedenne.Ash noted that the Fletchling was fast and that he wanted to catch it after seeing it move so quickly. Ash's Sliggoo is the evolved form of Ash's Goomy. It evolved during a battle against a wild Grumpig that was bullying a bunch of Spoink after Ash tried to intervene in the battle to protect Goomy. Ash's Poipole pressed the button on the Beast Ball Ash was about to show off how it worked and it allowed itself to be caught in the process. Ash's Torracat is the evolved form of Ash's Litten. It evolved during a training battle with the Masked Royal. 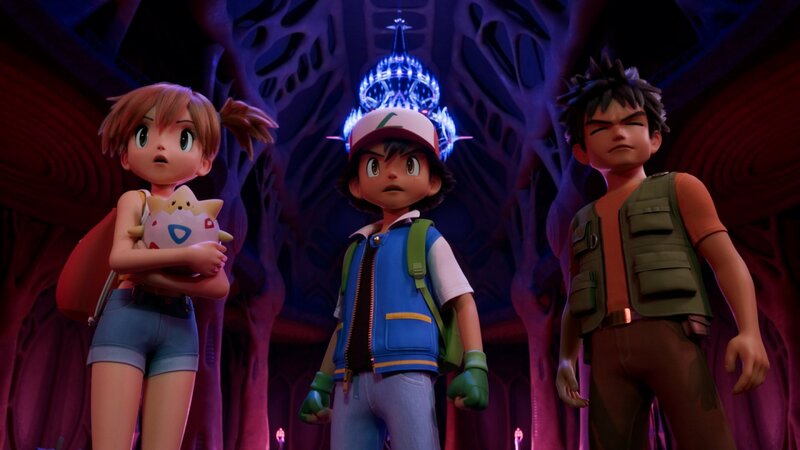 Ash's Metapod evolved from Ash's Caterpie after a battle with Meowth, Koffing and Jessie's Ekans, just as Misty was about to apologize and thank it for its great job against Team Rocket. Metapod then evolved into a Butterfree while trying to protect Ash from a Beedrill. Obtained in a trade with Gentleman for Butterfree. Given away in a trade with Gentleman for Butterfree. Click here to see info on Gentleman's Raticate. Ash's Beedrill was only kept temporarily as he gave it to Casey. Click here to see info on Casey's Beedrill. Ash did not "catch" Haunter. Haunter followed Ash to Saffron City. Haunter stayed with Sabrina in Saffron City. Click here to see info on Sabrina's Haunter. Ash's Chikorita evolved into Bayleef to protect Ash from Team Rocket. Ash was separated from his friends and chased by Team Rocket into a cave where he found Cyndaquil. Ash captured this originally pesky Pokémon during the Grand Festival. He later traded it to Dawn in exchange for Buizel. Click here to see info on Dawn's Aipom. Ash's Gligar, along with many other Gliger and a Gliscor, became trapped in a city after being blown there by a violent windstorm. Ash received a Phanpy egg as a prize after he won a race. Ash's Donphan evolved during a battle against Team Rocket. Ash's Larvitar hatched from an egg that he got from Naomi and was to be delivered to Professor Elm. Ash's Grovyle evolved during a battle against Guy's Loudred. Ash's Sceptile evolved from Ash's Grovyle when Nurse Joy's Meganium was attacked by Team Rocket and it wanted to protect it. Taillow evolved into Swellow in the final round of the Crossgate Town's annual PokéRinger Tournament. Ash's Taillow was the leader of a flock of Taillow. Ash's Torkoal were traveling through the Valley of Steel when they saw Torkoal being attacked. Ash's Snorunt was first seen stealing Ash's badge case, causing him to chase after it into a blizzard. Snorunt evolved into Glalie while May was participating in the Grand Festival. Ash caught Turtwig near Clara's home. It became friends with Clara and it broke up fights among wild Pokémon in the area. During a battle with Paul, Ash's Turtwig evolved into Grotle. Ash's Starly is the first Pokémon he caught in the Sinnoh region. Starly evolved into a Staravia during a battle with Team Rocket. Ash's Staraptor evolved during the PokéRinger competition held in Wind Town. Ash's Torterra was revealed during the Japanese opening 'The Greatest-Everyday!'. It evolved during a battle against Rocket Gang when they commandeered Nagisa Tower. Denji's Raichu and Satoshi's Pikachu were injured by Rocket Gang and in order to protect them it used its new move Leaf Storm which it learned after evolving. Ash's Pidove was caught in the Isshu region after he encounter a flock of Mamepato in a forest near Kanako Town. It lost its first battle against Jessie's Woobat right after Ash captured it while attempting to rescue Pikachu and Iris's Axew from Team Rocket. Ash's Tranquill evolved from Ash's Pidove on the day that Ash was helping round up all the Fushide that had invaded Hiun City. Ash's Pidove had been working hard the entire day and it could tell that its strength was increasing which then caused it to evolve.